Yesterday, a new movie premiered in Indonesia. Surprisingly I had not seen the trailer to this film earlier and if I remember correctly, it already played once during midnight screening last week. It played around 2-3 weeks ago for the first time in US, but did not get a lot of promotion in here. When I read the brief synopsis, I thought why not try to see and find out if this movie was good. Well here goes. Karla Dyson (Halle Berry - Monster's Balls, X-Men series etc) was a single mom working as a waitress in a small restaurant. She had a young boy from her previous marriage named Frankie. One day Karla had promised to accompany Frankie playing in the park after her shift end. While playing there, Karla received a phone call from her lawyer and had to take it a little bit further from Frankie. Despite every few seconds checking up on Frankie, when she finished the call, Frankie was nowhere to be found. Panic with the situation, Karla circled the park calling for her son and finally saw a glimpse of Frankie being pulled into a car in the parking lot. Karla tried her best to race after it but to no avail. However, since her car was parked nearby she ran towards the car and get in it to chase after the kidnapper. Now this was when the movie became suspenseful as it would focus on the chasing by Karla to get her son back. So what was the reason for the kidnap? Would Karla be able to save her child? Find them all in this rather suspenseful thriller movie. As a movie focusing on the saving of a child's abduction, it was able to deliver the intensity and the suspense during the chasing of the mother and the kidnapper. Since the start of the kidnapping scene, the movie was having a high speed chase and some moments of real intensity especially during the time when Halle Berry as the mother had to use all her strength, wit and iron will to do whatever it takes to get her son back. I like the movie when the pace was fast, but strangely there were moments were the pace was a bit slow, especially when there were scenes that I think were taking too long (such as scene of the cars moving from the top, or a scene in the trees during the final chase and others). Perhaps it was to stretch the duration of the movie, although even with those extra long scenes, the movie still had a rather short time of less than 1.5 hour. Oooh, the sound effects of the movie were amazing. The sound of cars hitting each other and some other scenes were very loud but they added the element of suspense. There were also some shocking moments which were nice and expected in this kind of movie. Be warned though that there were not a lot of moments with special effects since the emotions were the main attraction of this movie (I know my wife was very tensed during some of the scenes). There were of course some parts where the logic seemed to not apply, but the writers were able to explain some of them to audience why this or that did not happen, though few seemed to be a bit stretched. But overall the movie was quite okay. There were some emotional parts that I believe the director managed to include. From my personal side, the thing that I was not too satisfied was that it was not gruesome enough in the climax. This was quite confusing since I noticed the movie was having R rating in US. Anyway, if you are looking for a movie with some suspenseful moments of child abduction and the intensity of the rescue attempt by the mother, then this might be a good option. 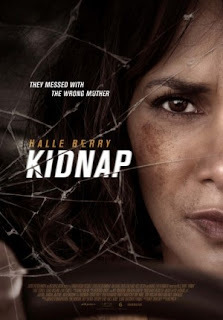 You can enjoy the car chases and other intense moments, plus you get to see Halle Berry performed as a lead character since 2013's The Call. I think she was convincing as the mother who would stop at nothing to save her abducted son. I think the tagline of the movie was very spot on: "They messed with the wrong mother". So feel free to try and see this one to experience the moments.